Nokia has partnered with Vodafone to offer an integrated billing solution for its music store in India. With this association, Nokia Music Store has become the first independent music store in the country to offer an integrated operator billing along with billing via credit cards and vouchers. 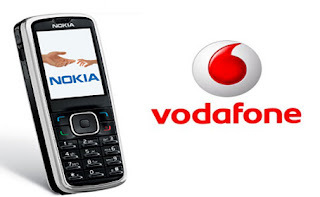 Vodafone India consumers using Nokia’s music service on feature phones and Asha smartphones can renew their subscriptions via their Vodafone accounts and download songs and albums from the music store. With this integration, Vodafone consumers can pay for the renewal as part of their monthly phone bills or have the amount debited from their pre-paid balance. The renewal subscriptions for the store are available for three durations viz., 7 days for Rs 50; 30 days for Rs 99; and 90 days for Rs 250. Taxes and data charges are separate as applicable. Consumers can download an unlimited number of songs of their choice during their subscription period, via Nokia phones including almost all Asha and Lumia devices. The Nokia Music Store is the largest online repository of legal digital music in India with a catalogue of over 4.5 million DRM free songs, including across 16 Indian languages, and 1.4 million songs downloads a day, as per the company statement. Vodafone India chief commercial officer Vivek Mathur said, "Offering integrated billing service for music downloads will help to strengthen the music ecosystem in India and ensure that Vodafone customers enjoy a convenient purchase process. This service is a big step in a series of innovation led products from Vodafone". Nokia India director marketing Viral Oza said, "Music with its universal appeal plays a key role in differentiating the Nokia experience. We have a strong proposition in the Nokia Music Store and are delighted with the tremendous consumer response we are witnessing in India. Both Vodafone and Nokia are committed to offering the consumer a richer experience and growing the music ecosystem in India and we are excited to broaden our strong relationship with music as it furthers these objectives."